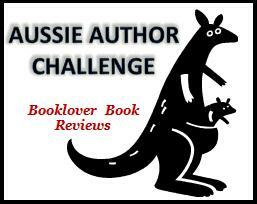 In Historical romance, Non-fiction, Reviews, Romance, Teen fiction, Urban fantasy, Young adult fiction. It’s a mix of genres this month in the Mixed Bag, which includes Deborah Locke’s memoir—a must-read for fans of Underbelly. When Lucy Seton discovers that famous magician Diego Montalvo plans to build a pleasure garden next door to Charlotte Harris’s finishing, she’s determined to thwart his plans. But he’s sneaky and charming and continually makes Lucy forget her vow to be the paragon of propriety. Diego has ulterior motives, however. He intends to return Lucy to her long-lost grandfather even if he has to kidnap her. 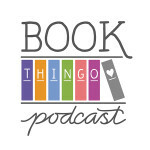 Don’t Bargain With The Devil is the kind of book I might have enjoyed when I was just discovering historical romance, with its over-the-top dashing hero and the heroine who tries to be a good girl but can’t help herself in the hero’s presence. But I’ve been reading historical romance for a long time, and this one didn’t stand out above the rest. I skimmed bits of it, and while Jeffries comes up with some good lines here and there, the most interesting bit about the book is the mystery of who the hero in the final book of the series will be. Yay or nay? The story has its moments, but it’s ultimately forgettable. You can read an excerpt via Simon & Schuster. Melody Grace McCartney has been in the Witness Protection Program (WITSEC) for twenty years, and as she’s moved yet again to a different life with a different name, she comes face to face with Jonathan Bovaro, the son of the man who wants her dead. It’s almost certain he means to kill her, but Jonathan is the first person who knows who Melody is and she gambles away her life of anonymity for this one chance to live her own life. 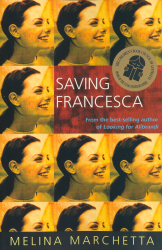 But the lyricism in Cristofano’s prose sometimes veers just that little bit too much towards sentimentality and the plot takes some unbelievable twists that made the last part of the book almost unreadable for me. The conflicts presented by Jonathan’s appearance and Melody’s increasing desperation to find freedom in her limited world become almost unbearable, and their resolution, while clever, was far from satisfying. Yay or nay? This book is worth a try, although it doesn’t quite reach the heights—or perhaps lacks the depth—to which the strong narrative voice and intriguing premise aspire.You can read an excerpt via the OpenBook widget above. Deborah Locke is one of the whistleblowers whose evidence was used in the Royal Commission on the NSW Police, and this book is a memoir of her experiences in the NSW police service. I read it in a day and couldn’t put it down, but this was due to the subject matter—systemic police corruption—and its ties to Underbelly: The Golden Mile. It’s chilling to read what Locke’s colleagues were up to and the level at which corruption existed. Locke also talks about the toll on her personal life, and I was especially fascinated with the relationship with her chronically alcoholic parents. There’s a very deep sense of compassion and love that permeates her story, and it surprised me (in a good way) given the neglect and conflict Locke suffers from their single-mindedness to get that next drink. My biggest complaint about the book is that the structure was a bit of a mess. I didn’t think the transitions between personal life and police life were done very well, and the sequencing of events was just serviceable. Yay or nay? A good reading complement if you’re watching Underbelly: The Golden Mile.. You can read an excerpt via the Browse Inside widget above. When fifteen-year old Clary Fray discovers she can see things that other people can’t, she’s caught up in a battle between demons and hunters. Her mother disappears and it seems Clary’s life had been steeped in secrets and magic all along. Clary is sheltered by a group of young Shadowhunters—half-angel warriors who hunt down demons. All Clary wants to do is to rescue her mother, who they believe has been captured by a powerful and ruthless Shadowhunter, but to do so she must find the Mortal Cup and, in the process, she uncovers the role her family plays in the ancient war. On the romantic front, there’s a kind-of love polygon between Clary, her best friend Simon and Jace, the Shadowhunter who takes it on himself to protect Clary … and between Clary, Jace and Alex … and between Simon, Isabelle and Clary. The relationships are interesting if predictable for the most part. I loved that Clary isn’t stupid about it. Her feelings are conflicted, but she’s honest to herself and to the guys. She’s not blind to Jace’s personality defects even when she’s attracted to him. I’m usually bothered by love triangles, but in this book I didn’t find it so bad. The weakest aspect of the story for me was the mythology and the set up of the main extrernal conflicts. 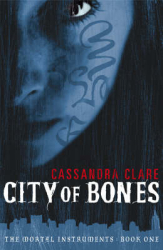 There’s something a little Harry Potter-ish about City of Bones. Every time the story talked about Valentine, the evil Shadowhunter, and his followers, I thought of Voldemort and his Death Eaters. Each time Clary defended a demon or a mundane (i.e. human), I thought of Hermione defending the house elves. Yay or nay? An action-packed story with a sensible heroine and some unexpected twists means I’ll be looking up the next book in this series.You can read an excerpt via the author’s website. 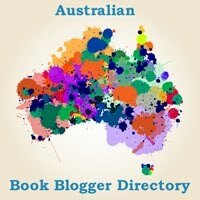 Tagged 2003 releases, 2007 releases, 2009 releases, 2010 releases, australian authors, cassandra clare, david cristofano, deborah locke, mortal instruments, pull to publish, sabrina jeffries, school for heiresses.